This below is reproduced from the Count the Costs blog. The briefing will form a key part of our outreach to mainstream NGOs working in the criminal justice sector, building on the endorsements Count the Costs has already received from organisations such as the Howard League for Penal Reform and Make Justice Work. Evidence from across the world reveals that although law enforcement can show seemingly impressive results in terms of arrests and seizures, impacts on the drug market are inevitably marginal, localised and temporary. Indeed, as the United Nations Office on Drugs and Crime acknowledges, one of the unintended consequences of the war on drugs is the so-called “balloon effect”, whereby rather than eliminating criminal activity, enforcement just moves it somewhere else. When enforcement does take out criminals, it also creates a vacuum, and even more violence, as rival gangs fight for control. The Count the Costs initiative has the widely shared goal of a safer, healthier and more just world. 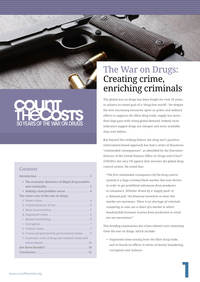 It is time for all sectors affected by current approaches to drugs, particularly those agencies, organisations and individuals concerned with crime reduction, to call on governments and the UN to Count the Costs of the war on drugs and explore the alternatives. The Allen Lane Foundation, for a second year running, have offered us an amazing opportunity to get your gift to End the War on Drugs doubled, and it starts TODAY. Increasing numbers of politicians, policemen, doctors, journalists, and academics are acknowledging that the War on Drugs has failed. Even the UN Office on Drugs and Crime, which is responsible for enforcing the current approach, has identified huge negative unintended consequences of this policy. Deploying military and police to eradicate drug crops, ever more punitive enforcement activities, and mass incarceration are expensive and invariably counter-productive. The drug war is having a particularly devastating impact on some of the most vulnerable throughout the world. From Afghanistan, to Mexico, to the UK, leaving the drug trade in the hands of violent criminals is destroying communities, and ensuring drug related heath harms continue to get worse. Yet, we are now at a once-in-a-generation tipping-point moment. This year, we have seen a growing trend towards the decriminalisation of drug possession internationally, and a rising chorus of voices calling for a new approach to drug policy, with public figures such as the Global Commission on Drug Policy, (including Kofi Annan and four former heads of state), a former UK Defence Secretary, the editor of the British Medical Journal, and the serving Presidents of Mexico and Colombia all questioning the war on drugs and calling for reform. Transform has played a key role in shifting the domestic and international debate from the margins to the mainstream, and meaningful reforms are now a very real possibility. We need your help to build on this momentum and seize this opportunity to end the war on drugs. If you donate through our website today your gift could be worth twice as much (and even more with Gift Aid). It's all thanks to the Allen Lane Foundation who will match gifts pound-for-pound online. And, this year, the pot of matched funding available is worth £70,000 - that means there’s never been a better time to give. So, please, get your gift doubled right now. And, don't forget to forward this message to your friends and family too, and help us make the most of this amazing opportunity to end the War on Drugs and create a safer, healthier world. We were surprised and impressed recently when we came across a little known piece of work that shows how a government, well disposed to using evidence to influence its drug policy, can employ science to make a positive difference. A period of decriminalisation of possession was briefly interrupted by recriminalisation. Following an impact analysis of the recriminalisation, showing negative outcomes, drugs were decriminalised again. The first major post-communist reform of Czech drug laws was completed as early as 1990. Among other legislative changes that were seen as returns to democratic and humanistic values, capital punishment and punishment for simple possession of illegal drugs were abolished. However, in 1997 a proposal was submitted to the Czech parliament that would re-introduce criminal penalties for drug users for possession of any amount of illegal drugs. The government subsequently submitted its own more modest proposal introducing criminalization of possession, but only for amounts that were "bigger than small", which was approved by parliament in April 1998. The law was subsequently vetoed by Vaclav Havel, then president of the Czech Republic. Then, the parliament overturned the president's veto and the amended law went into effect on January 1, 1999. Following these turbulent events, the National Drug Commission proposed that the government evaluate the impact of the new amendments by means of funding a scientific study. The researchers were asked to address five hypotheses that the Czech government wanted to have tested. 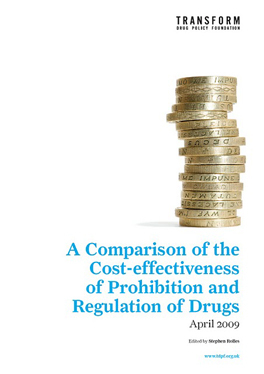 The hypotheses were: "After the introduction of the penalty for possession of illegal drugs, (1) availability of illegal drugs will decrease; (2) number of (prevalence of) current drug users will decrease; or at least (3) the incidence of new users will decrease; (4) there will be no increase in the negative health consequences related to illegal drugs; and (5) social costs will not increase." The study, "An Impact Analysis Project of the New Drug Legislation in the Czech Republic" (October 2001), concluded that the implementation of a penalty for possession of illicit drugs for personal use did not meet any of the tested objectives and was loss-making from an economic point of view. The importance of this social experiment cannot be underestimated. It shows that if government is willing to operate according to evidence then the policy change can be made in accordance with it. Whilst this was not a full impact assessment as we understand it, (for instance, it didn’t explore the possibility of legal regulation) it is important to know that this kind of work is possible to conduct and that if done well, it can affect policy decisions. Impact Assessment can be conducted at all levels of government, from city to transnational. We call on policy makers at every level to ensure cost-effectiveness of expenditure and demonstrate that key impacts are being achieved. And we ask drug policy activists to pressure them to do so. Transform has a long standing call for Impact Assessment, supported by a wide range of individuals and organisations. 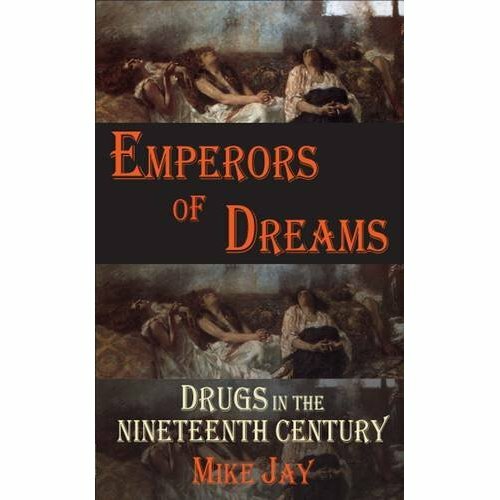 "Intelligent, witty, cogent and a bit pissed off, Emperors of Dreams is one of the best books on drugs I have come across, and should be mandatory reading for anyone concerned with drug legalisation." Coleridge and de Quincey swilling bitter draughts of laudanum, Sigmund Freud and Sherlock Holmes dallying with cocaine, Baudelaire and Gautier rapt in hashish fantasies behind velvet curtains, even Queen Victoria swallowing her prescription dose of cannabis - these snapshot images are familiar, but what is the story which lies behind them? How did cannabis and cocaine, opium and ether, mushrooms and mescaline enter the worlds of nineteenth century Britain, Europe and America, and what was their impact on the century’s dreams and nightmares? Emperors of Dreams paints a fresh and startling picture both of today’s illicit drugs and of the nineteenth century in general. It shows that the age of Empire and Victorian values was awash with drugs, and traces their course through the rapidly evolving arenas of science and colonial expansion and the demimondes of popular subculture and literary fashion, putting into context the drug habits and references of writers as diverse as Coleridge, de Quincey, Baudelaire, Dumas, Conan Doyle, Robert Louis Stevenson, William James and Sigmund Freud. "Malcolm Dean has been uniquely well-placed to witness innumerable policy successes and failures, and the often distorted lens through which they have been covered by the media. This thoughtful and wise book will be invaluable for anyone working in the media who's involved in explaining social policy, and to anyone involved in social policy who needs to get the media on their side." How big a beast is the media? Can right wing tabloids influence social policy using their ability to fan fears and prejudices? Malcolm Dean, the Guardian's longstanding chief monitor of social policy, expertly indicts his own trade through a series of seven case studies. Drawing on four decades of top level Whitehall briefings, topped up by interviews with 150 senior participants in the policy-making process, the book is packed with new insights, and colourful stories, from events in Whitehall's corridors, culminating in a damning list detailing the seven deadly sins of the 'reptiles' (modern journalists). 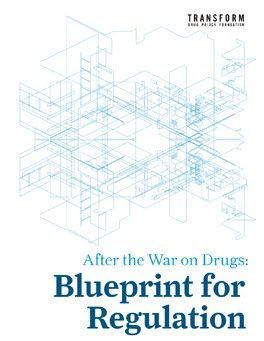 It has a cogent, detailed and comprehensive description of UK drug policy shenanigans from 2000-2007, including contributions from Transform. Its only competition covering this period is in The Diaries of Chris Mullin – A view from the foothills, 2009. Which, amongst other gems, gives the inside dope on Mullin's groundbreaking leadership as Chair of the Home Affairs Select Committee Drug Policy Enquiry of 2001/2. If you are purchasing online, please do it through Transform's Amazon Account, to donate to Transform as you purchase. All books have a link to www.amazon.com where the book is available to purchase. If purchased through these links, thanks to the Amazon Associates affiliate programme, Transform receives a ten percent donation of the cost of the book. Go on, fill your snow boots! "the issue presented itself several times in the last 20, 30 years, and it is now a question that is on the table, and what is always important in political debates is to analyze the options present." McKinley, was clear however, said that even though the debate is taking place, the U.S. According to the report, the ambassador went on to describe Colombia as an important ally of the U.S. in the struggle against narco-trafficking, and praised the evolution of the Andean country over the last decade. "The transformation of the past ten years in Colombia in terms of security, struggle against narco-terrorism, construction of institutions or strengthening democracy is something not only recognized by Colombians, but by governments on an international level,"
The significant part of this is the opening quote that acknowledges the active debate happening in Latin America, that legalisation is 'on the table' in that debate, and that it is important to analyze all the options. This is ofcourse a long way from endorsing a reform position, indeed he makes the US opposition all too clear. However, the statement is effectively an endorsement of the Santos position - that there needs to be a debate of the options, and legalisation (or as Calderon puts it 'market alternatives') needs to be amongst them. Even this acknowledgement of the importance of a debate and analysis of options feels like progress in the context of the historically entrenched viewpoint and hawkish drug-war posturing.